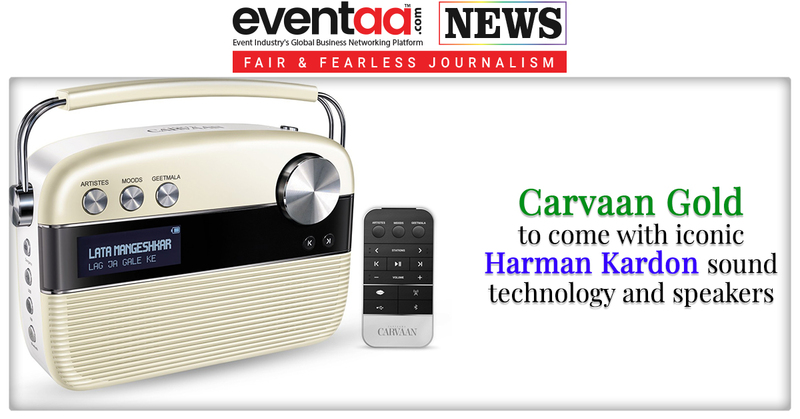 For launching the next generation of Carvaan range of products, India’s oldest music label and youngest movie studioSaregama has entered into a strategic partnership with Harman Kardon, world’s leading audio brand by HARMAN. Recently they launched Carvaan Gold this festive season as the first product from this partnership. Top-of-the-line variant of Carvaan,Carvaan Gold is designed using iconic Harman Kardon sound technology and speakers. Comes in a hi-end metallic body, Carvaan Gold is available in exclusive Champagne Gold and Rose Gold colors. The product also comes with a companion app that allows users to create their own playlist or select their favorite song on Carvaan. 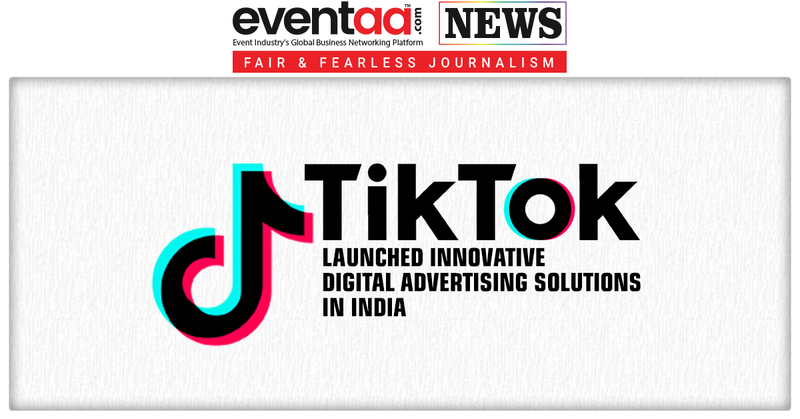 Also, it comes with re-loaded with 5000 evergreen Hindi songs without any interruption of ads, which are categorized into 130+ stations featuring the best of Mohd. Rafi, Asha Bhosle, Kishore Kumar, Amitabh Bachchan, Rekha, Rajesh Khanna and other legends of Bollywood. Also, it has the entire collection of Ameen Sayani’s Geetmala; FM/AM radio and the option to listen to one’s personal collection of songs via Bluetooth or by plugging in a pen drive in the USB port. Carvaan Gold works on a rechargeable battery that lasts up to 5 hours. Formerly known as The Gramophone Company of India Ltd, Saregama owns the largest music archives in India, one of the biggest in the world. 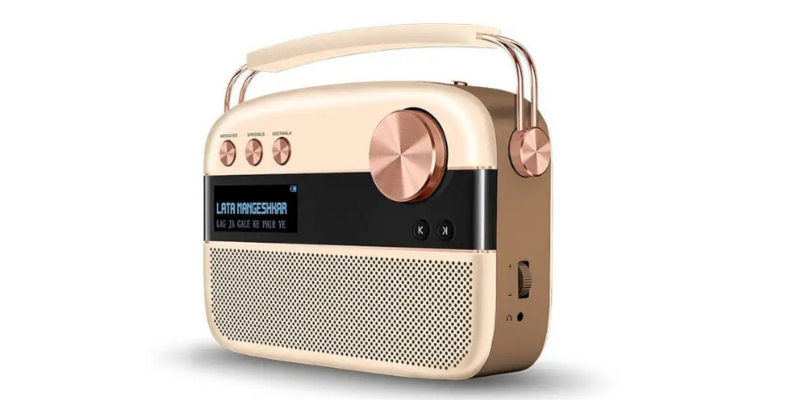 The ownership of nearly 50 per cent of all the music ever recorded in India also makes Saregama the most authoritative repository of the country’s musical heritage. 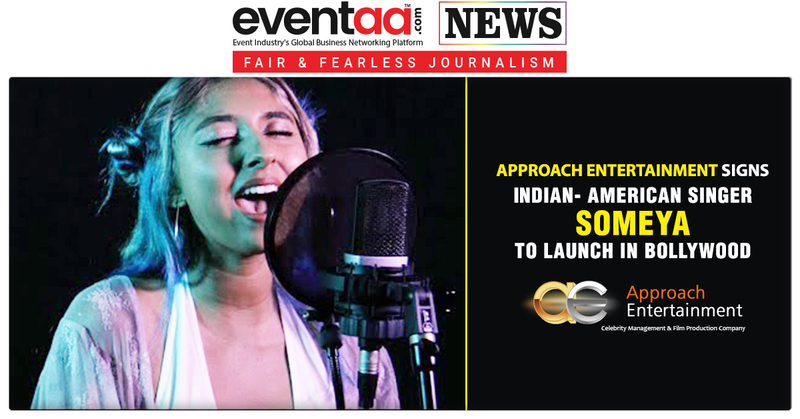 Saregama has now expanded into other branches of entertainment – it is involved in publishing, television software and digital content. It also runs studio facilities in Dum Dum, Kolkata making it one of the best end-to-end entertainment houses in the country. HARMAN is admired by audiophiles, musicians and the entertainment venues where they perform around the world. More than 50 million automobiles on the road today are equipped with HARMAN audio and connected car systems. Our software services power billions of mobile devices and systems that are connected, integrated and secure across all platforms, from work and home to car and mobile. HARMAN has a workforce of approximately 30,000 people across the Americas, Europe, and Asia. In 2017, HARMAN became a wholly-owned subsidiary of Samsung Electronics Co., Ltd.